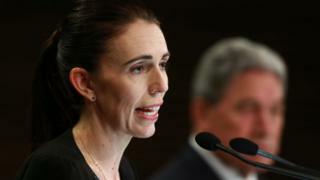 The Prime Minister of New Zealand, Jacinda Ardern, has announced a ban on the sale of all types of semi-automatic weapons and assault rifles . It comes after shootings at two mosques, which took place last Friday, where 50 people died and many were left injured. An Australian man has been charged with murder. Ms Ardern said she expected new laws to be in place by 11 April, saying: "Our history changed forever. Now, our laws will too." Previous attempts to tighten gun laws in New Zealand have failed due to opposition from pro-gun organisations and a the popularity of hunting in the country. What's happening in New Zealand? What are New Zealand's current gun laws? The minimum age at which you can own a gun in New Zealand is 16, or 18 for military-style semi-automatic weapons. Anyone over those ages who is considered by police to be "fit and proper" can own one. All owners must have a licence to own a gun, but most individual weapons do not have to be registered. New Zealand is one of the few countries where this is the case. People applying for a licence to own a gun have to pass a background check of their criminal and medical records. 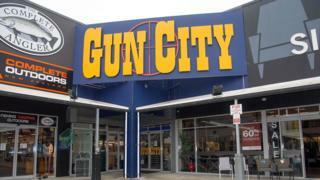 Once a licence has been issued, gun owners can buy as many weapons as they want. How are the gun laws changing? New Zealand will ban all types of semi-automatic weapons and assault rifles. The prime minister has now announced an amnesty and a buy-back scheme, so anyone who currently owns affected weapons could hand them in and get some money back. Once the amnesty period ends, anyone in possession of a banned weapon would face a fine of up to NZ$4,000 and three years in jail. Could these inventions improve the world? 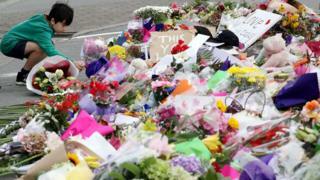 Many public vigils have been held across New Zealand over the weekend for the victims of the attacks, and more have taken place this week. 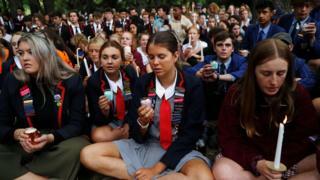 On Monday afternoon, about 3,000 high school and college students held a vigil in Hagley Park near the Al Noor mosque - one of the two mosques attacked on Friday. New Zealand mosque shootings: What's happening in Christchurch?